Brisbane Colonoscopy, conveniently located at Paddington, provides an innovative, quality-driven and patient-focused service from initial consultation, careful diagnosis, therapy and advanced colonoscopy. We pride ourselves on communication, accessibility, quality and care. At Brisbane Colonoscopy, we are dedicated to providing excellent, efficient and affordable care. To achieve this, we strive to continually improve our practice through audit, research and innovation. 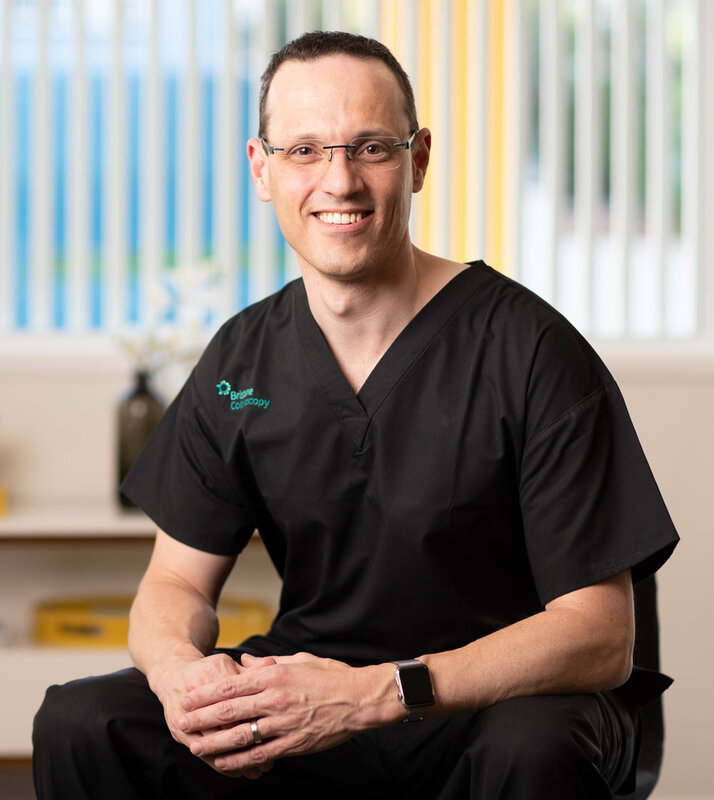 David grew up in Brisbane, where he completed his medical and gastroenterology training, including a PhD at UQ. He moved to Indianapolis, USA, for a colonoscopy fellowship where he was also awarded a Master of Science. His clinical interests and expertise are in colonoscopy, colorectal cancer screening and polyposis/familial cancer syndromes. 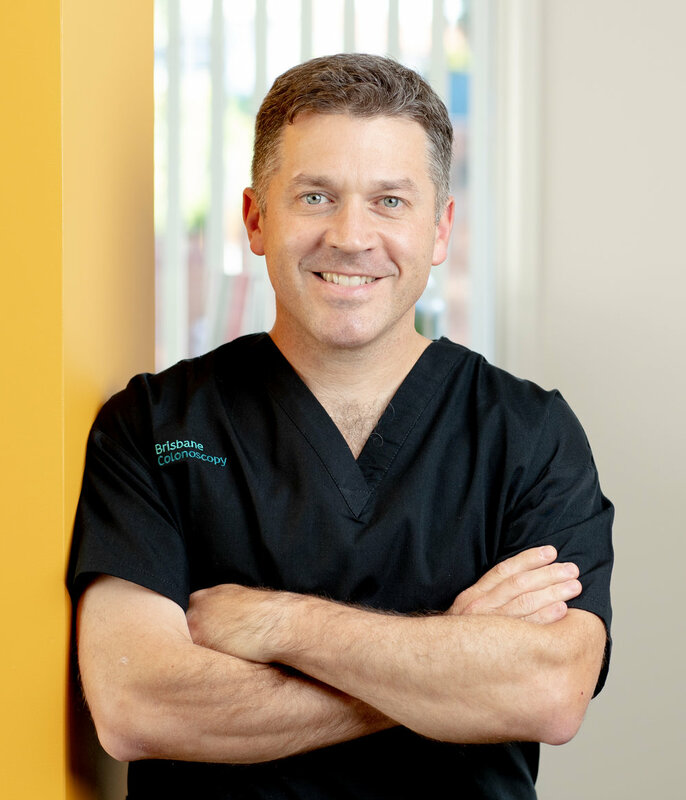 David has published widely on colonoscopy techniques, technology and training, and is engaged in national and international policy initiatives for the improvement of colonoscopy and colorectal cancer screening and care. Ji grew up in Korea and New Zealand, completed her MBBS at the University of New South Wales. From Sydney, Ji moved to Brisbane where she trained in gastroenterology at Logan, Royal Brisbane and QEII Hospitals. Ji has subspecialty expertise in IBD, high quality colonoscopy and capsule endoscopy. Ji leads the capsule endoscopy service at the QEII Hospital and now also offers capsule endoscopy through Brisbane Colonoscopy. Dan was trained in Adelaide. He lived in Brisbane from 2007- 2010, completing a PhD and a Master of Public Health at UQ and working at the RBWH. Dan lived in New York from 2010-2014 working at Columbia University in gastrointestinal cancer research. Since 2015, Dan has run a bowel cancer research laboratory in Adelaide and works as a clinical gastroenterologist in private practice. Dan is a leader in gastrointestinal cancer research, with a special interest in colorectal cancer screening and prevention.